I have to give a lot of the credit for this idea to my mom. 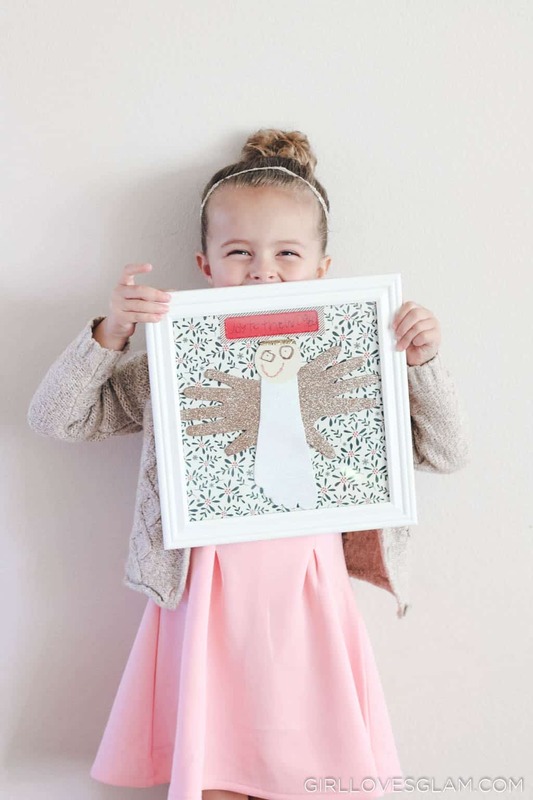 She has a similar piece of art that my brother made when he was about four years old. 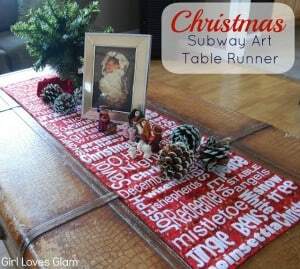 My mom made up the idea with finger paint, but I wanted this project to be quick and mess free so we made a few adjustments. 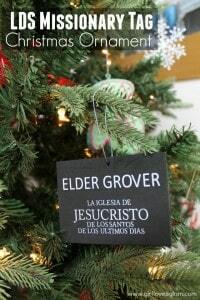 I love the idea of creating a craft together that reminds us of the true meaning of Christmas. 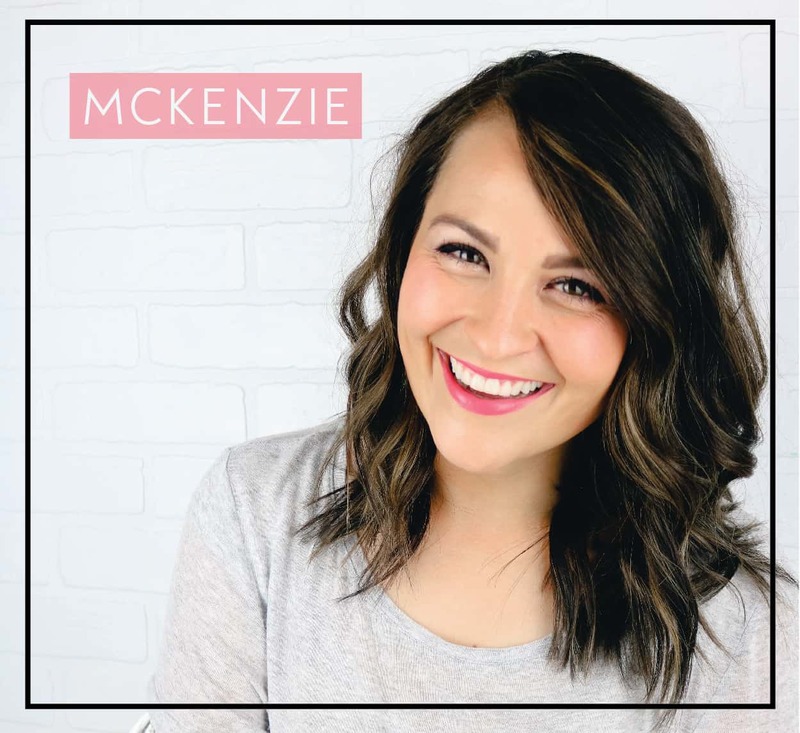 I love thinking about the angels who came to sing and rejoice. 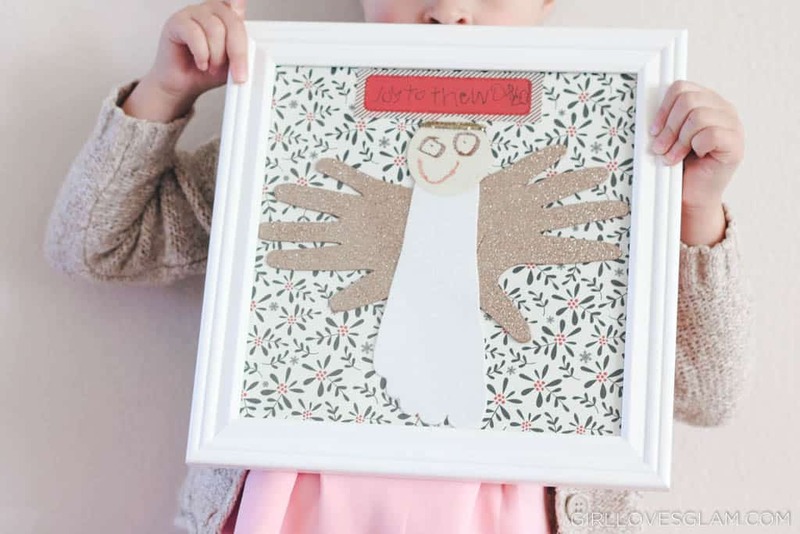 We talked a lot about the angels while we made this craft together and it became a great teaching moment while we created this little Christmas angel keepsake together! Trace hands on the back of the craft foam and cut the handprints out. 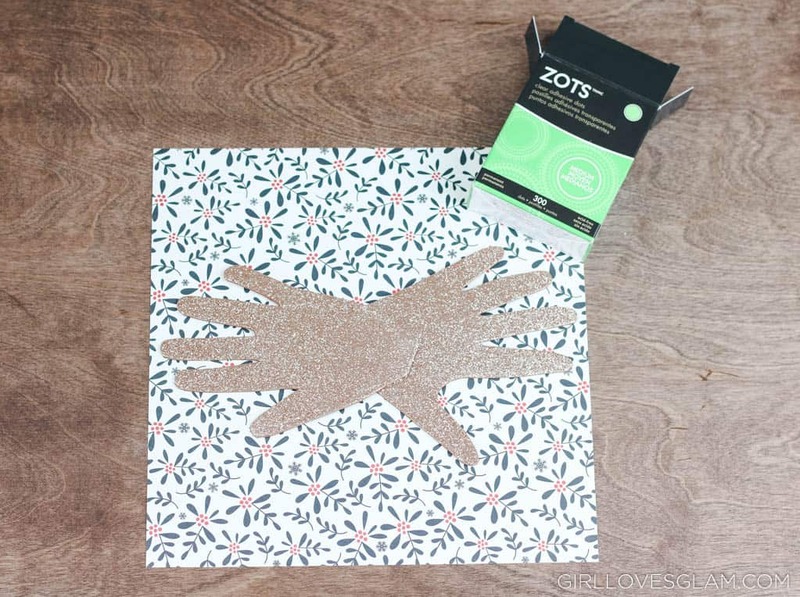 Use glue dots to glue the handprints onto your festive background paper that has been cut down to the size you need for your picture frame. 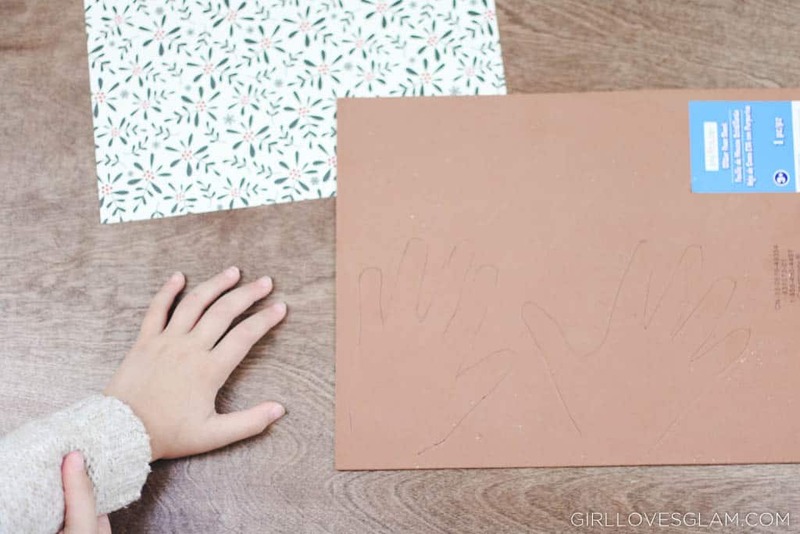 Place the handprints so that they will look like angel wings. 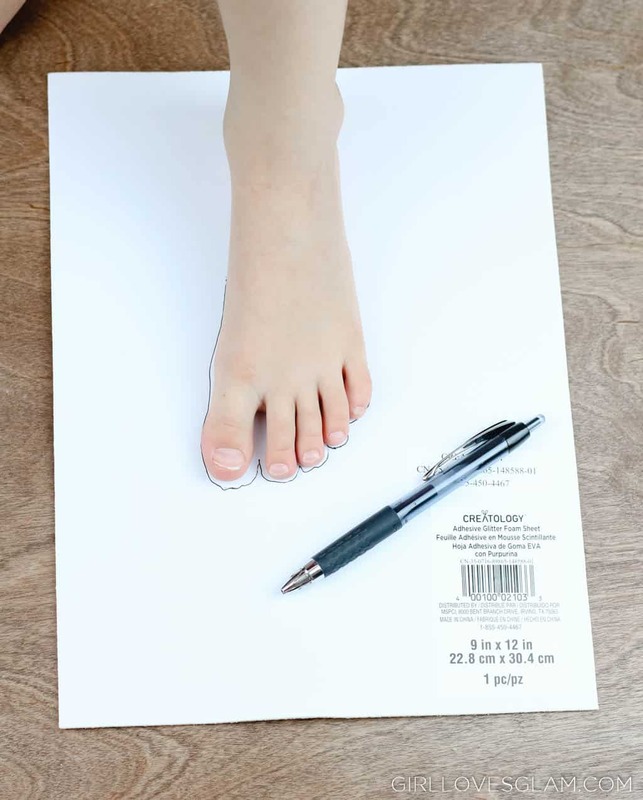 Trace foot on the back of your white craft foam and cut it out. 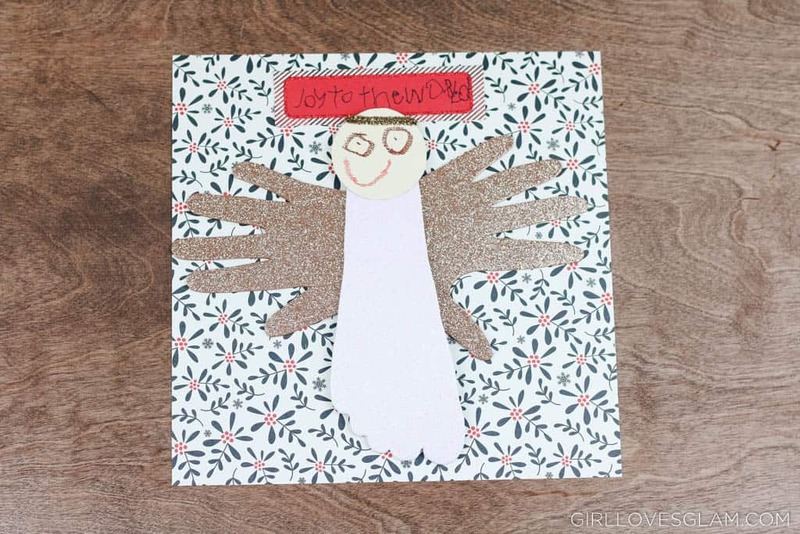 Place the footprint on top of the handprints to create the angel’s body. Glue the footprint into place. 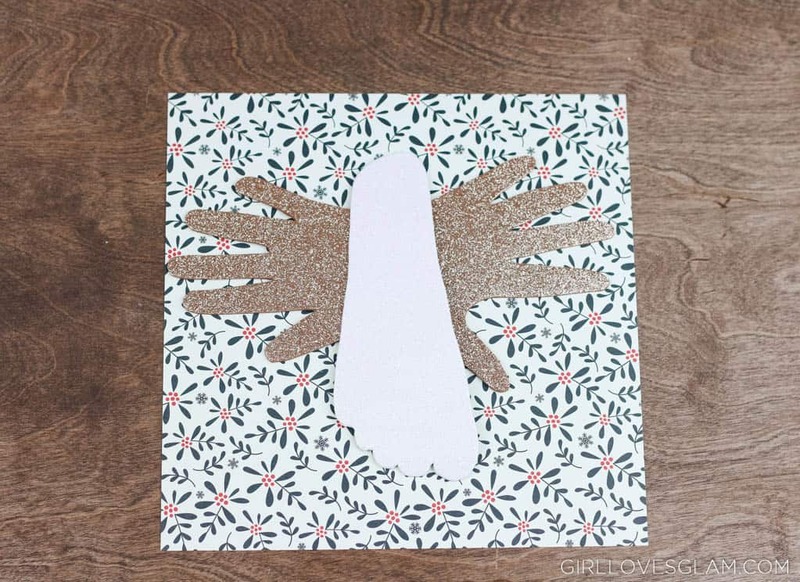 Cut a circle out of your skin tone colored paper. 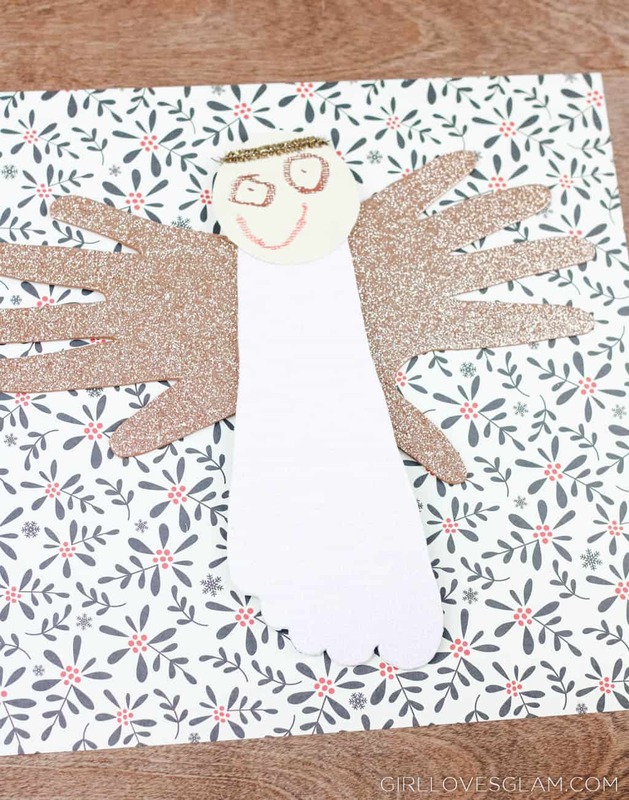 Have the child draw the angel’s face on the circle. This little face might be my favorite part of the entire thing! I love kid drawings. Cut a small piece of the pipe cleaner and wrap it around the top of the angel’s head to create a halo. Glue the angel’s head to the body with the glue dots. You can finish here and frame it, but I wanted to make this even more of a keepsake by adding my daughter’s little 4 year old handwriting to it as well. 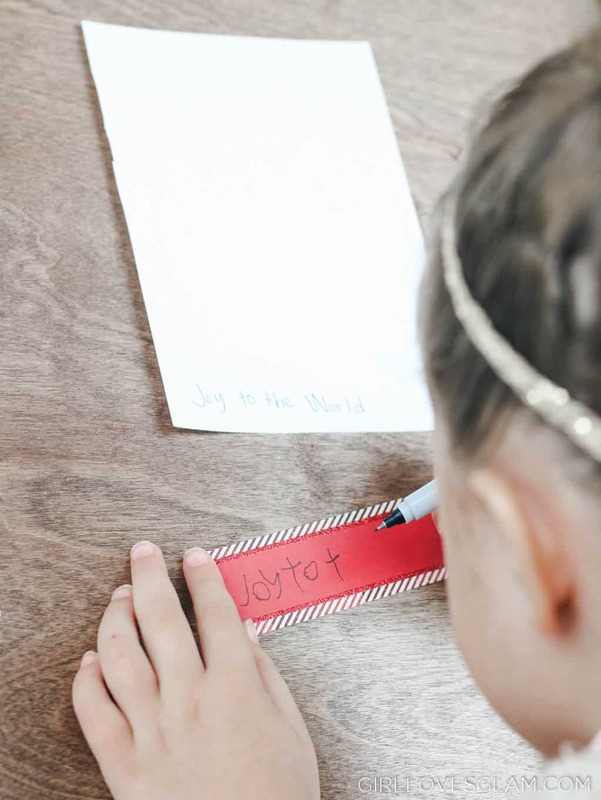 I wrote the words, “Joy to the World” on a paper and had her write the same thing on our decorative paper. 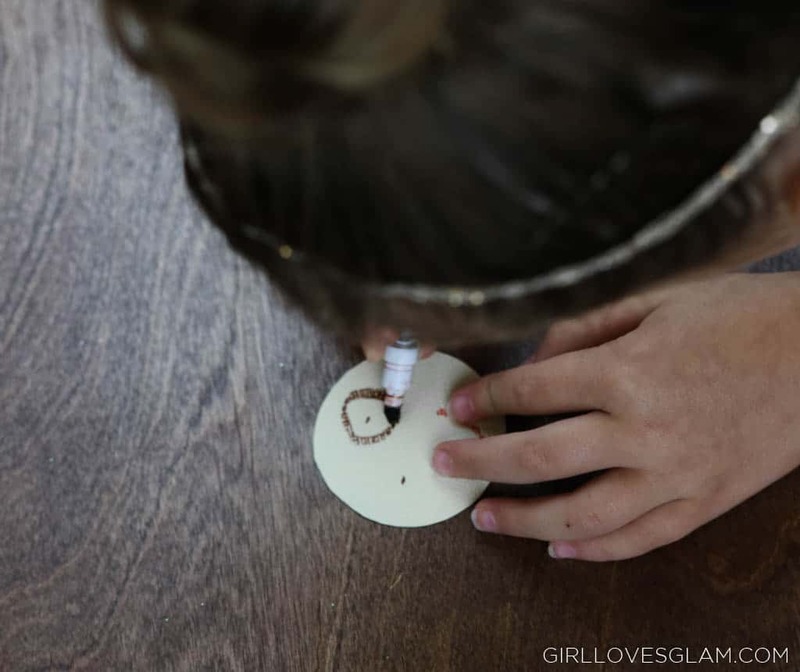 Glue the paper to the main image and prepare to swoon over the cuteness! Of course, you don’t have to frame it, but I just know that this is going to be a treasured decoration in our home for years to come. I really wanted to be able to frame it and let my daughter feel proud of her artwork on display in our home. 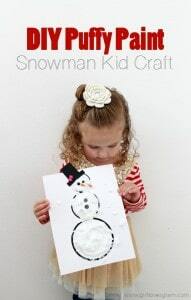 I hope you enjoy creating these cute little angels with your kids! 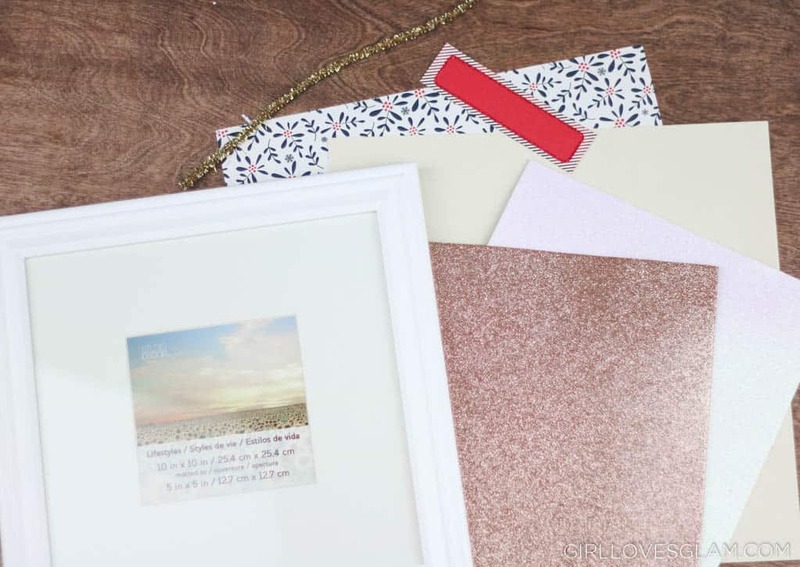 For even more holiday inspiration, check out these posts too!